Most Oregonians don't pay a lot of attention to beer laws in other states. Why bother? We have some of the most flexible laws in the country when it comes to craft beer. Laws in other states often seem stupefying by comparison when we hear about them. California is a fine example of that. And it isn't even part of the old Confederacy. There's a short piece in the September issue of Beeradvocate that discusses what's happened with growler laws in California. It's terrific stuff if you have a sense of humor. And don't live in California. The California Department of Alcohol Beverage Control has decided that breweries may fill generic growlers or branded growlers from other breweries as long as the contents are then appropriately labeled and there is no inaccurate information visible on the container. Think about that for a moment. It essentially means you cannot take a branded growler into another brewery and have it filled. Why? Because even if the contents are somehow labeled by the providing brewery, there would still be inaccurate information in the form of opposing branding on the container. I have no idea what happens if a brewery happens to violate this law...if it's wrist slap or something more serious. But the result of the law is clear enough: breweries are inclined to fill non-branded growlers. That way, they avoid the possibility of contradictory information on the container..
That's not the end of it, either. 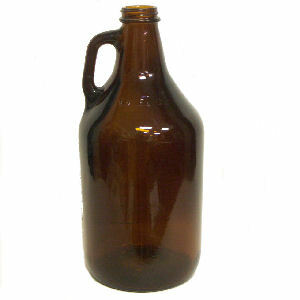 Some breweries have chosen to take this arrangement a step further by saying they will fill only their own growlers. Such is the case with Russian River Brewing, which issued a statement pointing to the superior quality of their growler on several counts and the need to fill only that container. This contradicted the brewery's previous position, but never mind. Look, I'm not exactly sure who this law is supposed to protect. It can't be consumers of the beer, who typically know what they're buying, and are now faced with needing to have a collection of non-branded growlers or growlers specific to breweries they frequent. Maybe the glass industry is the winner here. With respect to Russian River, I can almost sympathize. They don't want to bother with the labeling issue. Filling only Russian River growlers avoids that problem completely. I get it. But I don't understand the garbage about having a superior growler. 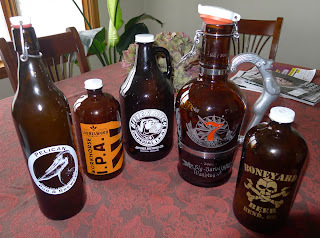 All growlers have their issues with ease of filling, seal, sanitation, etc. There is no such thing as a perfect growler, new or used. I won't even take a position on the pluses and minuses of dispensing beer in growlers. The various issues connected with that have been well-reviewed in the past. Sometimes getting beer to go in a growler makes good sense. Sometimes not. Growlers can definitely affect the quality of the beer. To close the loop on this story, consider what California's law would mean in Oregon. 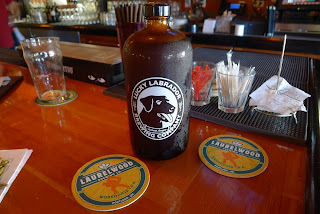 I routinely take growlers from Boneyard and Lucky Labrador to Laurelwood for fills. 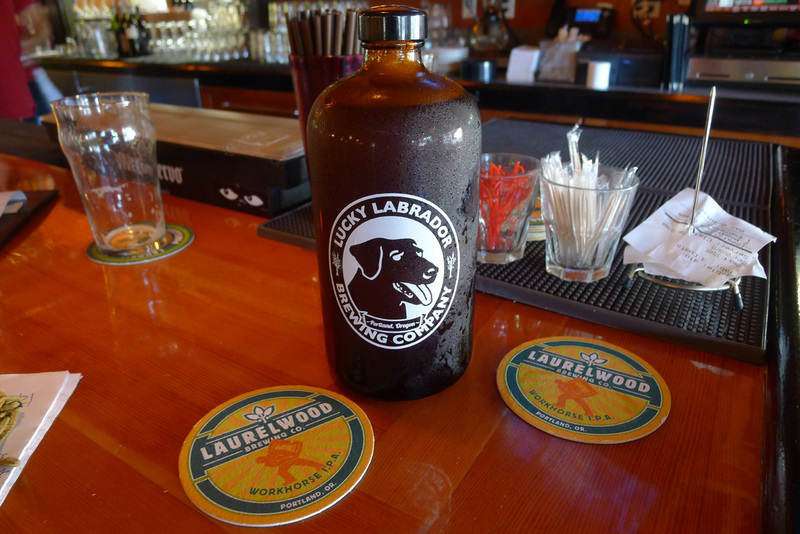 My Laurelwood growlers have been filled at numerous places. That could not happen in California. The law makes it problematic. What a mess. Silly. I was told the same thing at Redwood Curtain - that some places wouldn't fill your growler unless it was their own. The entire branding thing is ridiculous. If you go for a fill with your OR Growler in CA, make sure it has the alcohol warning label on it or no fill period - just needs to be a sticker I was told. Something I didn't know, but makes sense. Is California the only state that has this ridiculous law. In Colorado I could take my growler anywhere and have it filled regardless of the labeling. I took my Coppersmith's growler to Odell's and New Belgium countless times with no hassle. Also, apparently in California, they can only fill growlers if the beer is brewed onsite. So if you go to a chain brewpub, if the beer is acutally brewed at an offsite location, they can't fill a grower. Who are these laws for? The Ab Inbev Molson Coors and the other big lobbies that don't want consumers to get there own from the brewer? It can't be the craft brewer. They would love to sell their beer regardless of the container.